Emby is a free media server application that lets you bring your videos, music, images and live television on one place. It lets you easily convert and play your media files on any device connected to the internet. It lets you manage your DVR and you can invite your colleagues, friends or family members to share you media collection. It provides an easy to use and eye candy interface and lets you manage your all collections in an extremely easy way. For offline access, you can synchronize your media files to your cell phones or tables. This media server is currently supported on following Linux operating systems. Let’s see how we can install this media server on Ubuntu 15.04 operating system. 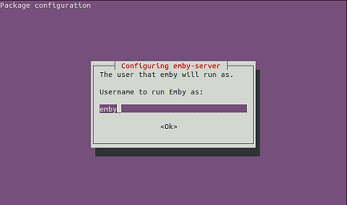 Launch your system terminal and run following command to add Emby server’s Key file to your system’s package manager. Run following command to download sources file for Emby to your package manager repositories. 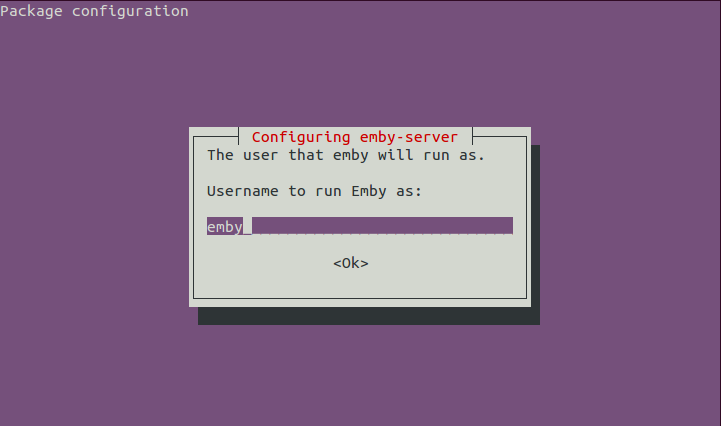 sudo sh -c "echo 'deb http://download.opensuse.org/repositories/home:/emby/xUbuntu_15.04/ /' &gt;&gt; /etc/apt/sources.list.d/emby-server.list"
Run following command to install pre-requisites or dependencies for Emby server. That’s it, our Ubuntu system is all set to install and run Emby server. Run following command to install Emby. During the installation process, it will launch the following pop up. 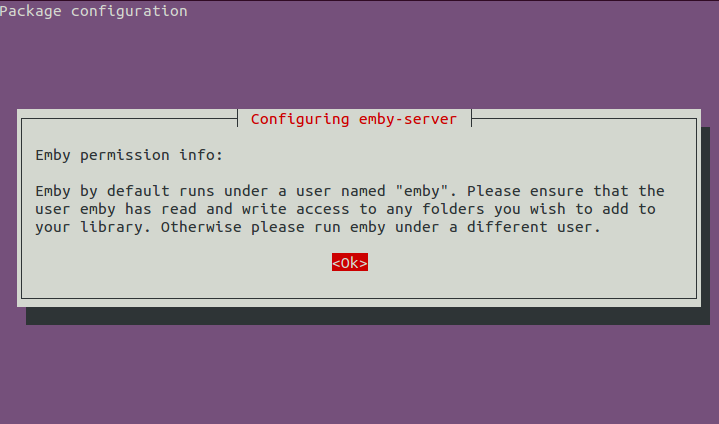 You should add a new user “emby” for easy management of this application server, alternatively you can run it under root or privileged user too. Here, specify the username to run emby. If you have emby user created, mention it here, and otherwise specify your root or administrator user. That’s it, emby has been installed now. Launch it using http://localhost:8096 URL. Emby is a feature rich, modern day media sevrer. It lets you sync your media collection to cloud storage for backup purposes. It comes with parent control features too for restricting access to your media collection. Try it out today, hope you will enjoy using it.